Avon is a company which I feel gets overlooked a lot. I don't tend to purchase the make up as such, because I like to test things out in the shop, but am a firm lover of their nail polishes, moisturisers and hair care. This hair mask was an impulse buy when I was flicking through the Avon Catalogue - I am a regular user of the Lee Stafford Hair Growth Treatment Mask (which I talk about here in my post giving tips on how to grow your hair quickly AND healthily). However, lately I've been feeling as though my ends are really dry, so I wanted to try a more hydrating treatment. I'm a firm believer that you shouldn't 'over-product' your hair, so thought I would give this a try instead since I've used the last of my Lee Stafford. 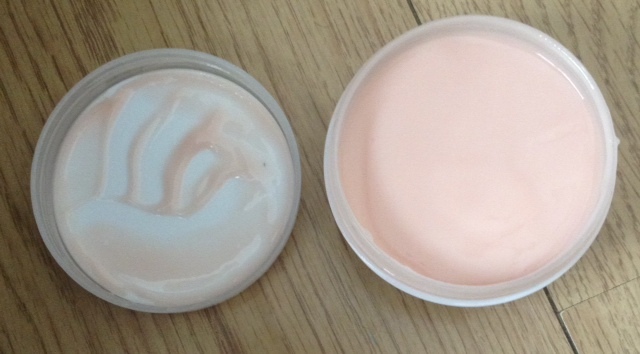 The Conditioning Balm is different to any hair mask I've tried before. Rather than washing it out, this Balm instructs you to shampoo and condition as usual, and then to rub some of this conditioning balm into towel dry or damp hair. I really liked this approach, as it literally took seconds. Where as the Lee Stafford treatment has to be left in for 5 minutes between your shampoo and conditioner. I was careful to avoid my roots because I am prone to greasy hair, but I ran this through from about a quarter of the way down my hair. I did blow dry my hair after, and I'm really impressed with the results. My hair smells beautiful, which I wasn't expecting because I've never tried anything 'Almond and Avocado' before. My hair is so so soft and shiny, and feels so hydrated. 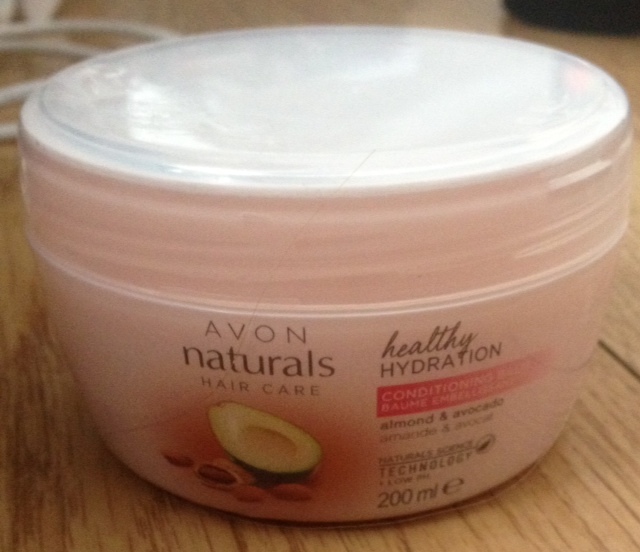 This Hair Conditioning Balm is currently £1.00 from Avon on offer, which I think is a complete bargain! I only used a pea-sized amount to run through my hair and so I think this tub will last ages at this rate!